Using worked examples in e-learning can be a powerful method of teaching. A worked example is a step by step demonstration of how to perform a task. Embedded in the presentation above is a short tutorial showing how to create an animated symbol in Adobe Animate. It’s a small part of a larger series of lessons but shows how worked examples can help students learn complex procedures. Studies have shown that worked examples benefit learning procedural skills as well as strategic skills. Procedural skills are those that are step by step and have a structure, while strategic skills are those that involve higher cognitive tasks such as constructing an effective argument or troubleshooting a problem. Fading can be a powerful tool in the use of worked examples. 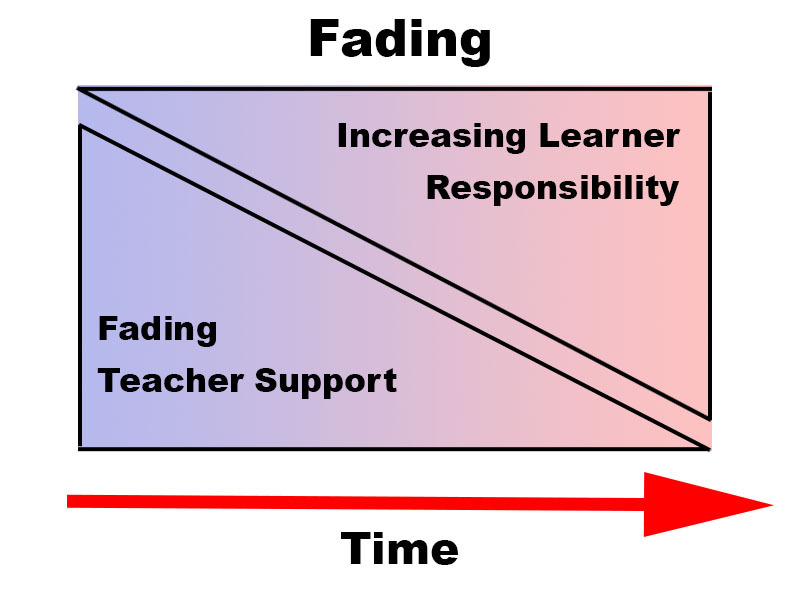 Fading is a gradual transition from fully guided demonstration to independent practice by the learner. Many learners will skim or review worked examples in a very shallow manner. To avoid this, worked examples should either be followed up with questions that promote self-explanation answers or questions that promote collaborative explanations of the worked examples. The use of instructional explanations are best used when conceptual understanding is the goal but there are no self-explanation questions requiring a learner response. It’s important to use the multimedia principles as much as possible in all examples. Pretraining, redundancy, segmenting, contiguity, modality, and the multimedia principles have all proven to help learning, so keep them all in mind while designing a worked example. To promote far-transfer learning, there are three things you can keep in mind: The first is to work examples using various contexts. Switching the context of a worked example will promote learning the general principle as opposed to the specific. The second is to include questions that require self-explanation and the forming of arguments. And the third is to require active comparisons of the varied context examples. Some things we still need more research on are the boundary conditions of fading vs. self-explanation and when one is most appropriate. Studies suggest that using both can harm learning and that self-explanation questions are better than fading. We also need to know how fading, self-explanation apply to modeled examples. And lastly, active observation has shown promising value. How can it be used in less structured domains such as work-force learning or asynchronous learning?